Eastern Mediterranean favours unite chickpeas with fire roasted tomatoes, chillies and a hint of cumin. 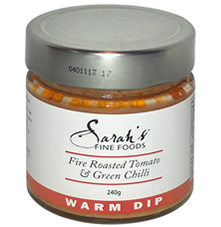 Copyright © 2014 Sarah's Fine Foods. All Rights Reserved.